CalFire Moves Super Tanker To McClellan To Aid Wild Fire Troops! Home » News » Local News » CalFire Moves Super Tanker To McClellan To Aid Wild Fire Troops! Cal-Fire has moved a super tanker jet to McClellan Airbase to help crew fight the Northern California wildfires. 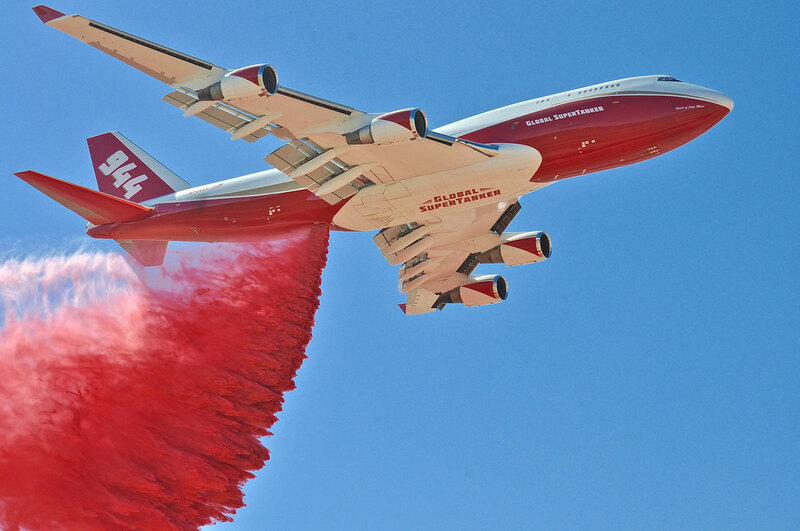 The Boeing 747 is the largest tanker of its kind in the world and holds over 19 thousand gallons of fire retardant which will cover a three mile area when dropped. The plane can reach up to 600 miles per hour and can reach any fire in the state in 30 minutes. The super tanker costs 16 thousand dollars an hour to operate.